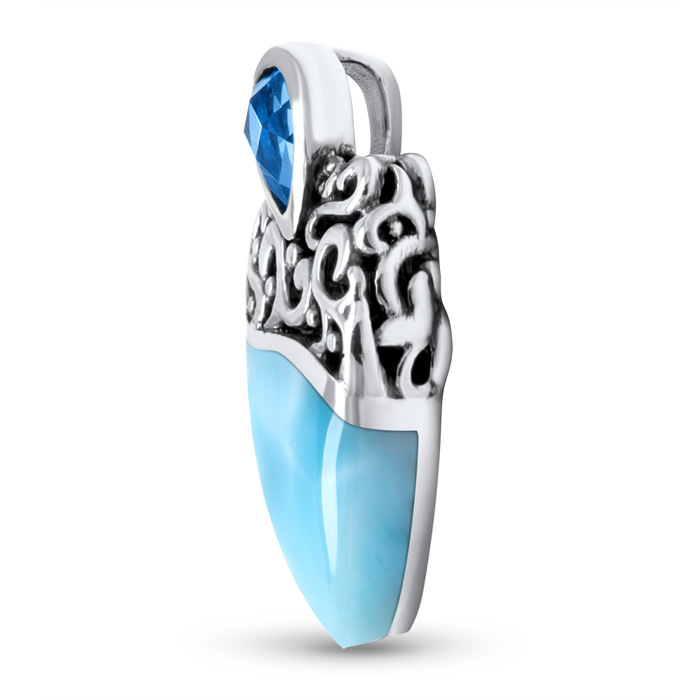 Intricate swirls of filigree clasp a softly tapering larimar gemstone, crowned by a sparkling blue spinel in our Haven pendant, bringing an old-world passion to a completely modern gemstone. 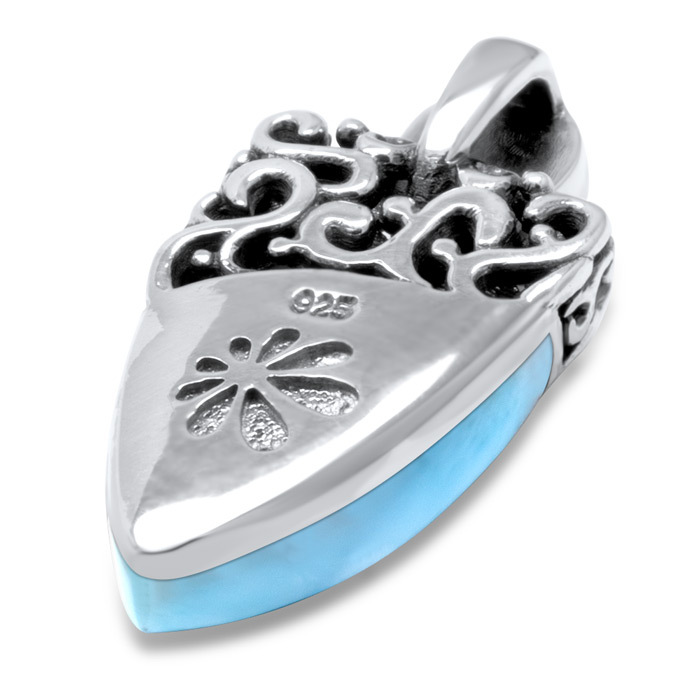 Wear it for protection, personal power, or unabashed beauty! Startlingly refreshing! Product Details: 11x15mm larimar gemstone with blue spinel and sterling silver. Comes with an adjustable 21” sterling silver chain with an easy, sliding mechanism and lobster clasp that you can set to the perfect length for your look!